Located in a jacuzzi building, this first floor unit offers easy living with quick access to parking/pool/beach. 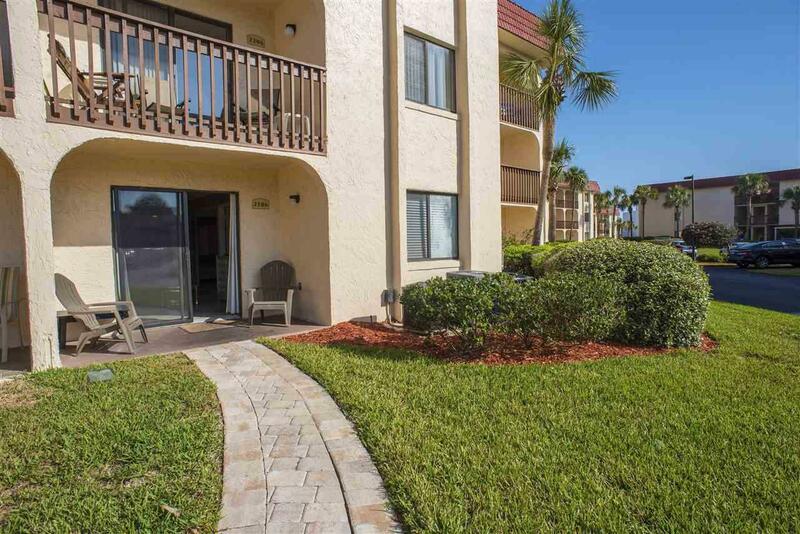 Step outside onto the patio to enjoy Florida sunshine and grass beneath your feet. 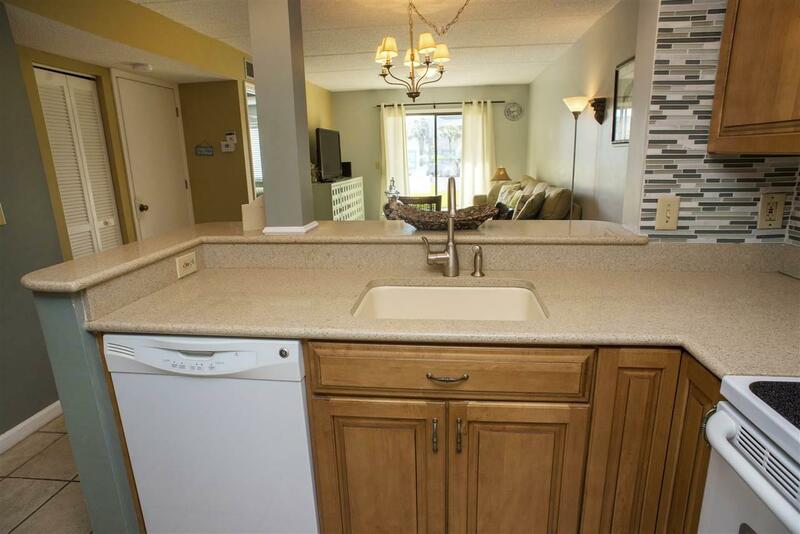 This unit is in pristine condition and move in ready! 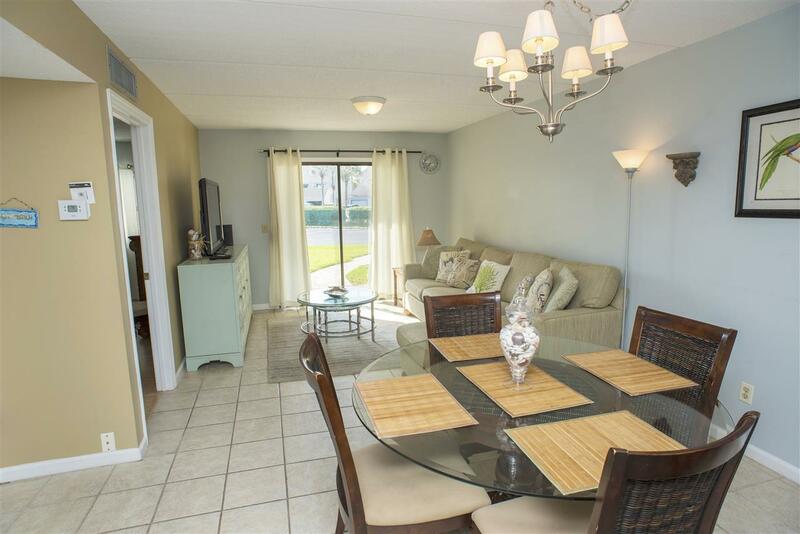 Completely furnished with updated flooring, kitchen and baths! Get ready to enjoy sunny days on the covered patio breathing in ocean air and to live every day as if you were on vacation! This building is located just steps to the no stair beach access. 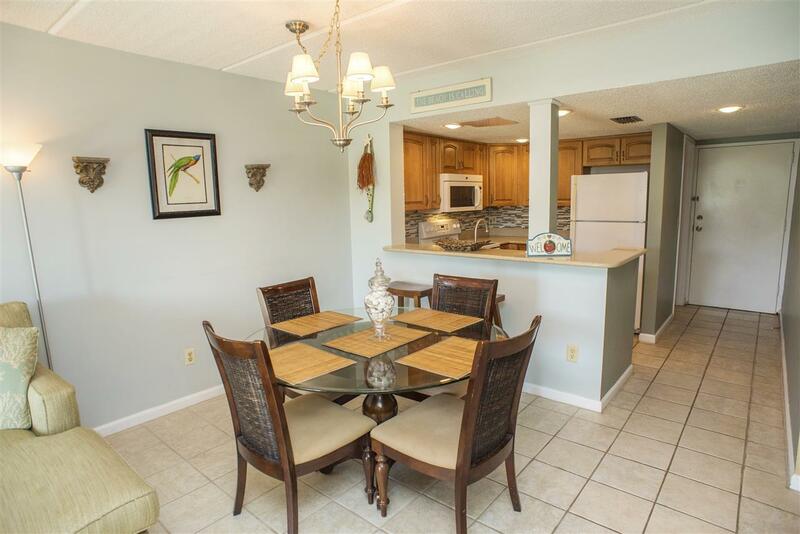 Located in popular beach front community and just steps from white sandy beaches. Don't miss out on casual beach living! About SAOR: 2 Beach Access points with no stairs to the beach! Heated and Unheated Pool for your pleasure. Four Lighted tennis courts. Fishing Ponds to catch the BIG one! Shuffle Board Courts for Family Fun! 5 Jacuzzi to relax in. Grills for an Evening BBQ! Immaculate landscaping. And best of all, located right on St. Augustine Beach!